Click on each contributors name for more information. Bryce Johnson is a retired pastor from White Bear Lake United Methodist Church. He has been baking bread since he was a teenager. He passion for baking took on new life in 2002 when he constructed a brick oven in his backyard. 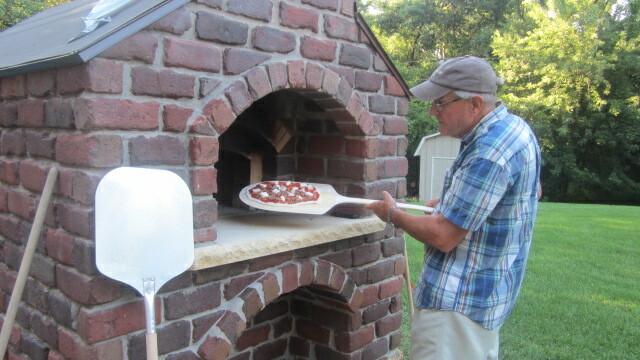 Following a sabbatical in Europe he encouraged the White Bear Lake UMC to build a large brick oven as a way of building connections within and beyond the church, as well as help address hunger in the community. Now in his retirement Bryce is providing support to community ovens here in Minnesota. Is a retired mechanical engineer. He spent his entire career working at major corporation in the St. Paul area. The first 25 years spent on machine design and engineering management and the remainder of his 37 year career as a global business manager. In retirement he has been able to enjoy his passion for designing and building. When the project surfaced at his church to build a Community Oven he became involved in leading and guiding the construction phase of the project. Since the completion of our oven interest from other churches and organizations has grown and he has now helped to build 7 ovens from the ground up and guiding other teams with technical support. 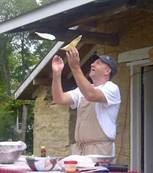 Ross Safford is a former professional baker who conducts bread-baking classes using humor, dough-tossing techniques and storytelling. He currently works with Keystone operating their Mobile Foodshelf.